Working at a plantation in his youth, Joel Chandler Harris found that much of his shyness disappeared in the slave QTLYters, and his background as the illegitimate son of an Irish immigrant helped fuse a close bond with the slaves. 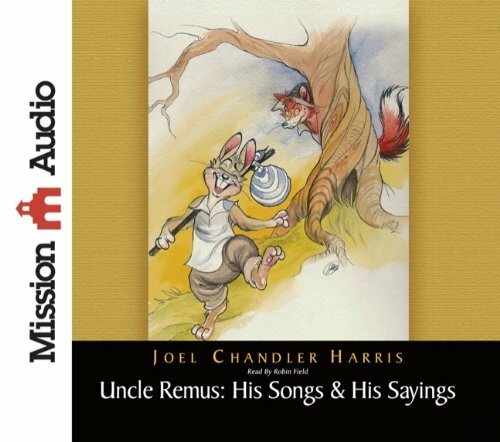 The language of his new friends and the African-American animal tales they shared later became the inspiration for Joel's beloved Uncle Remus stories. When Harris recorded the many Brer Rabbit stories from the African-American oral tradition, little did he know that it would revolutionize children's literature. As an adult, Harris committed to healing post-Civil War America, stressing regional and racial reconciliation during and after the Reconstruction era. After the first book appeared in 1880, Joel Chandler Harris was deluged with letters from readers all over the country asking for more stories of Brer Rabbit and his friends--so for the remaining years of his life he collected and wrote them. Richard Chase, noted folklorist and author of Jack Tales and Grandfather Tales, compiled and edited the volume after Harris s death, and his occasional footnotes and word definitions contribute to our understanding of the dialect. Chase s belief in the importance of folktales and Harris s work is summed up in his foreword: "These tales grew up in the soil of our nation. They came from the soul of a people. They endure." Robin Field is the AudioFile Earphones Award-winning narrator of numerous audiobooks, as well as an award-winning actor, singer, writer, and lyricist whose career has spanned six decades. He has starred on and off Broadway, headlined at Carnegie Hall, authored numerous musical reviews, and hosted or performed on a number of television and radio programs over the years.